In this post I note 3 exceptional books for younger children that concern the California condor. The story begins by telling how California condors live, including the rearing of a chick. Later, a condor is poisoned by eating a dead calf that ranchers had laced with poison to kill coyotes. But when the ranchers encounter the poisoned condor, they seek assistance from the Audubon Society. The condor is taken to a zoo for treatment by a veterinarian, recovers, and is released back into the wild. The final pages of the book provide details about California condors, including the threats they face and efforts to protect them. Most of the beautiful illustrations are in shades of green, tan, and, for the condors, black. Condors are seen soaring over rocky ridges and oak savanna, roosting in dead trees, caring for a chick in a cave, and feeding on a rabbit and calf. The images elegantly combine great detail and considerable empty space. 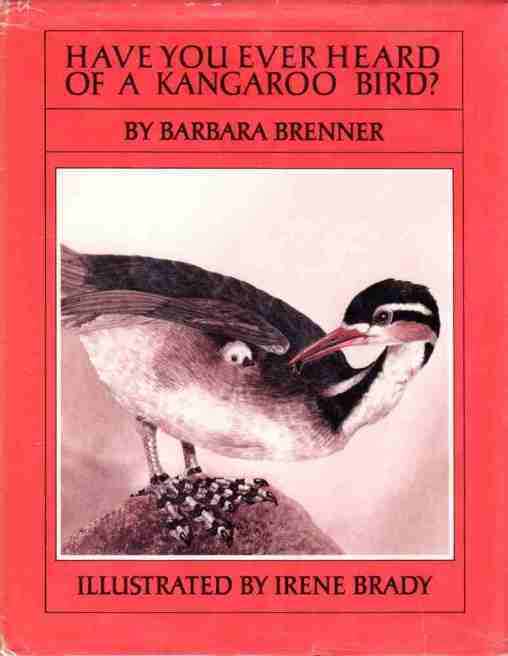 Barbara Brenner’s Have You Ever Heard of a Kangaroo Bird? Fascinating Facts about Unusual Birds includes only 2 pages of text about vultures. But the California condor is featured as the author answers the question: “Why are vultures bald?” An excellent illustration by Irene Brady supports the answer. This painting is a closeup: the head and ruff of a condor just above the leg and hoof of a dead deer. A pair of flies complete the image. My favorite of the 3 books here is Robert Mesta’s Condor: Spirit of the Canyon. Mesta is an ornithologist, a lead figure in the California condor recovery effort, and a Native American. He offers a thoughtful and valuable story about a young boy named Little Feather, his grandfather, and California condors. Most pages include sidebars with a question and answer, e.g., “Where do condors nest?” The last pages of the text provide more details about condors and a foldout reveals a life-size photograph of a condor’s primary flight feather (24 inches long). Lawrence Ormsby illustrated Mesta’s story with vivid and intricate illustrations. The landscape is the Grand Canyon and environs. An acknowledgment indicates that the illustrations were based on photographs provided by the Fish and Wildlife Service and the Zoological Society of San Diego. This concern with realism shows. The condors are shown at different stages of development and in a variety of postures, both in the air and on the ground. 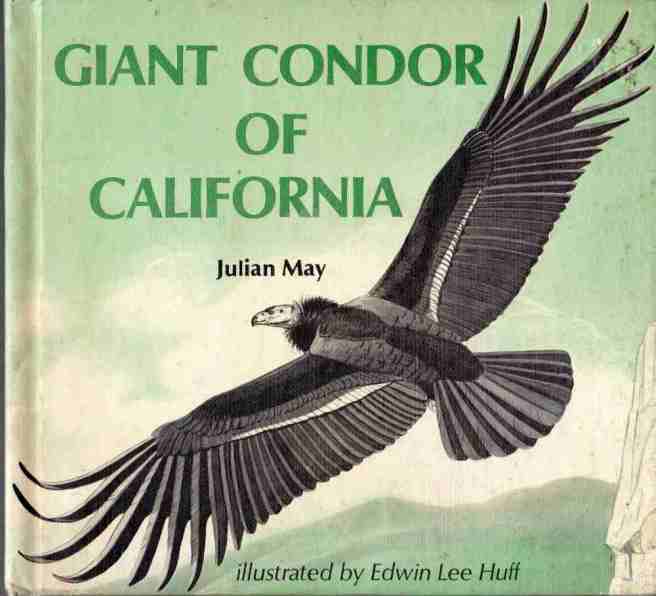 There are many books for children about the California condor and I will note more of these in future posts. May, Julian. Giant condor of California. Creative Educational Society. 1972. Brenner, Barbara. Have you ever heard of a kangaroo bird? Fascinating facts about unusual birds. Coward, McCann and Geoghegan. 1980. Mesta, Robert. 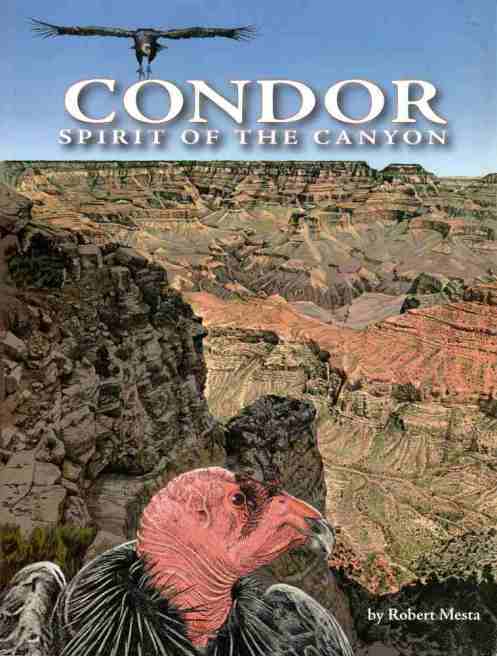 Condor: spirit of the canyon. Grand Canyon Association. 2007.